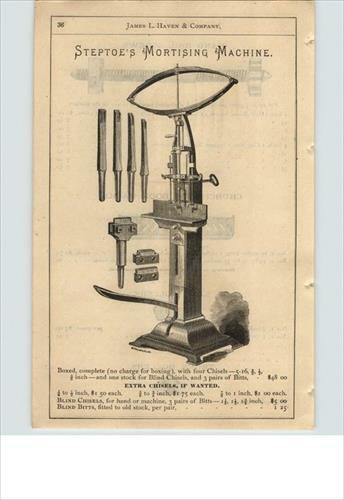 Manufactured By: Steptoe, McFarlan & Co.
Cicil War era Steptoe Mcfarlane & co mortising machine. Foot powered. fully functional. Includes 4 original chisels. A great piece.Add photo is from a much later model after Steptoe Mcfarlan & co. folded in 1870 and became just steptoe but looks identical.